hen you start working on a film project, it won’t be long before talent and crew details are exchanged. You’ll want to store this information in a film crew list template so it’ll be easy to search and share this information with your team. Production contact lists tend to be pretty simple (name, role, email, phone). But what about all the other details you’ll need to commonly keep track of for cast and crew (i.e. day rates, paperwork status, agent contact info, wardrobe sizes, etc.)? How about vendors, props, or rentals? For a deeper knowledge of crew positions and roles, learn who does what on a camera crew. The Crew tab is where you track all your potential and booked crew members. In our booking sheet, we’ve included a list of film crew positions most commonly used on productions, broken up by departments. The columns indicate useful details to collect for each entry. You can't manage your film crew list without carefully chosen labels. In StudioBinder, input your cast and crew information only once. Depending on the role you assign, StudioBinder will automatically bucket your contacts into production departments. Easily add custom labels like "Camera Team," "Favorites," or "Do Not Hire." Autogenerate call sheets without having to search for and re-enter contact information. As a ‘do it now’ business, it’s always best to get as much info as you can while you have cast or crew member’s attention (i.e. on the phone / in-person). It can sometimes be tough to get in touch again, and it’s preferable for them to be asked for details all at once versus being pinged over and over again. Did you know that you can cut-and-paste directly from Google Sheets into the body of your email? It retains all the formatting, and looks great! You’ll find yourself wanting to do this when emailing details for vendor pickups for runners, sizing for talent, location scouts, and many other use cases. This sheet identifies key props in scenes. 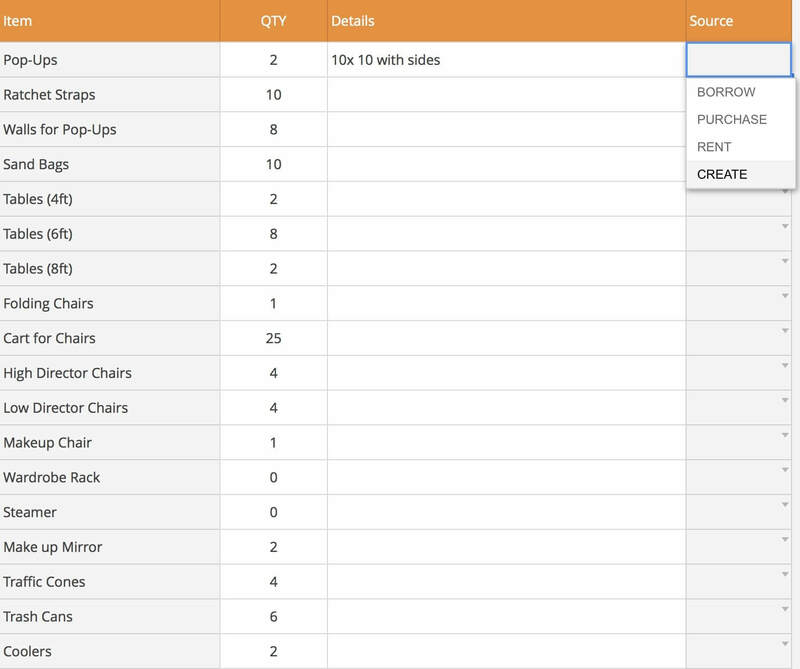 We included a dropdown to identify where the props can be sourced from (i.e. borrow, purchase, rent, or create). A good time to populate this sheet is when you begin marking the script and creating the script breakdown. Additionally, you can share this sheet with your prop master or production designer to populate it further. You can also share it with a 1st AD to input the props into their call sheet template or call sheet software like StudioBinder. Expendables are items that the production unit should consider bringing to set or basecamp. They range from tables, chairs, trash cans, coolers to crafty snacks. 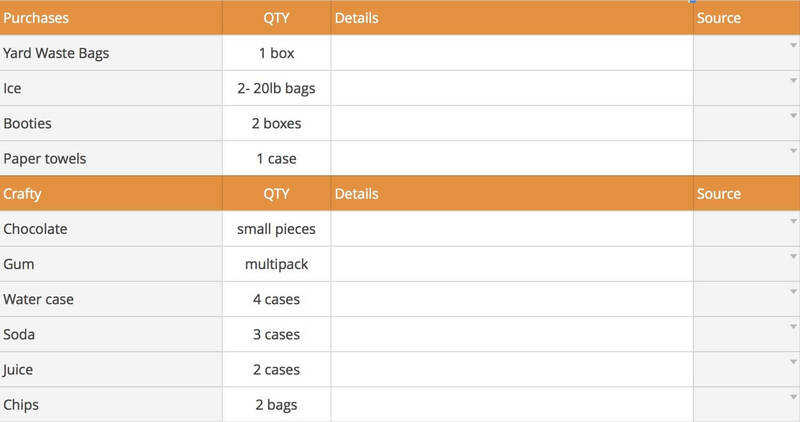 To give you a head start, we have included some of the most common expendables and quantities in this one template . Feel free to modify it as needed. This sheet (particularly the ‘crafty’ section) can be printed to become a shopping list for runners. Every project is unique, but distributing private information such as home addresses, payment details, social security, Tax IDs, and other information should only be done on a need-to-know basis. This information can be leaked easily if it falls into the wrong hands. Always make sure that you have approval to distribute personal details from the Producer, LP, PM before doing so. Although StudioBinder auto-populates call sheets, you can easily leave off sensitive information at the click of a button. Free film management software like StudioBinder makes it easier to not only manage cast and crew contacts, but also transition into creating and sending call sheets to them. Avoid reentering the same information, as StudioBinder automatically fills in the gaps on call sheets and shooting schedules. 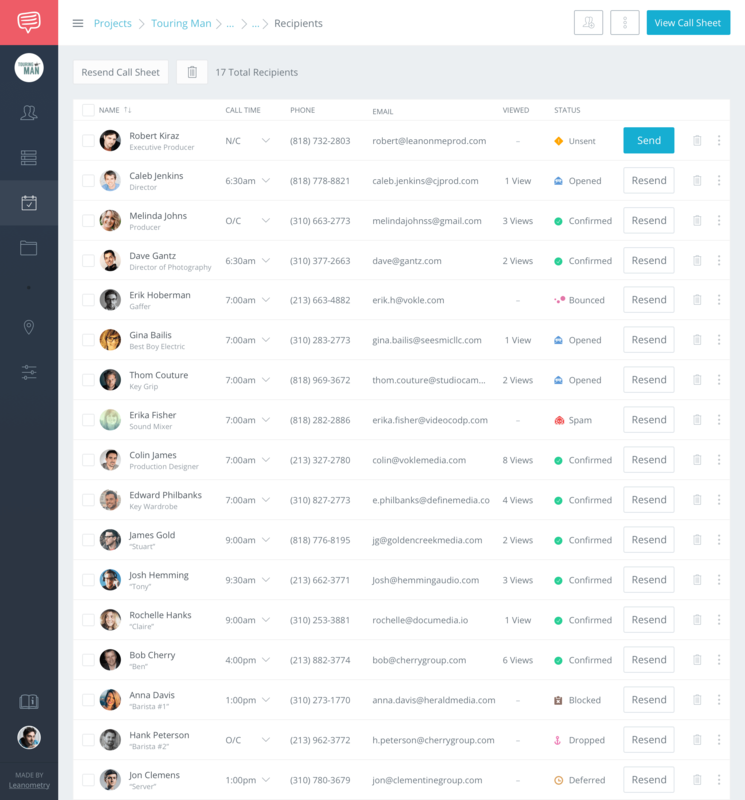 Track the status of your call sheets, and when someone's missing, easily find their call sheet status and contact information in one place. 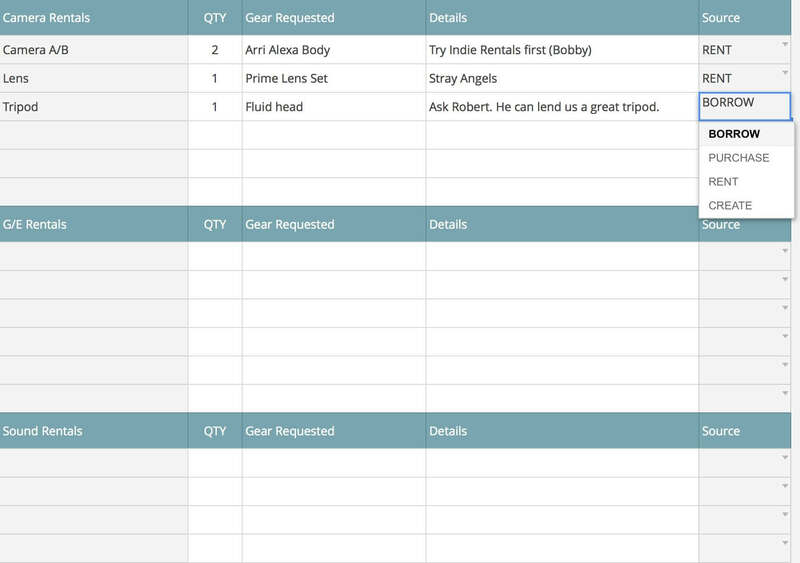 Looking for a film crew list template? We have two options for you! Either download the Film Crew List Template and Booking Sheet, or take your production to the next level by creating a professional crew list rolodex online using StudioBinder. 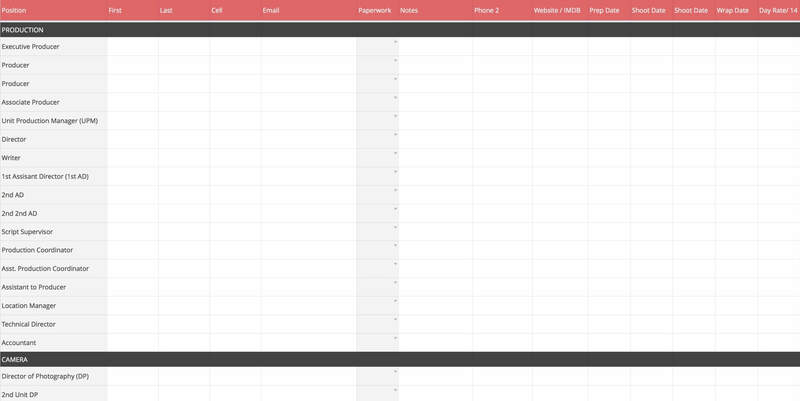 StudioBinder safely stores your film crew lists, allowing you to spin off call sheets at the click of a button. Create custom lists, sort by department, only enter data once, and we'll take care of the rest. You can download a free crew list template or use StudioBinder's contact management platform by clicking on the button below. Productions can expand quickly so it’s important to keep visibility with a good contact management system. These details become especially important as you start populating your call sheet. Want to learn more about how a call sheet is created, approved, and confirmed? Read How to Create a Better Call Sheet (includes free templates). 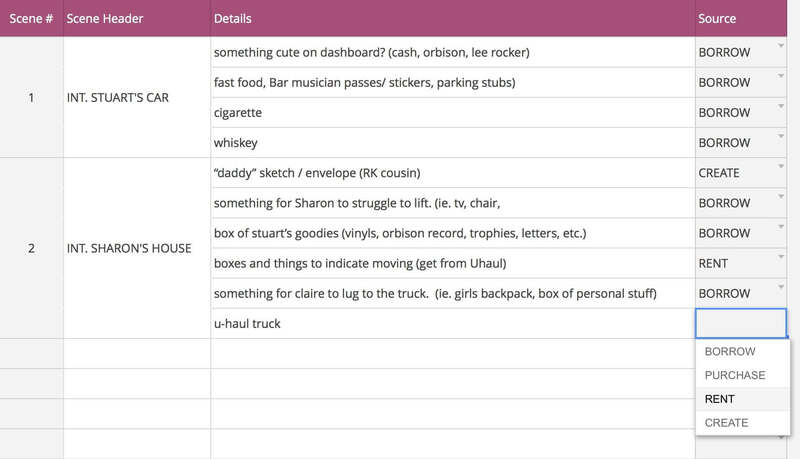 Want to dive deeper into the details of what goes on a call sheet? Read The Anatomy of a Call Sheet: How to Make a Call Sheet for Film and TV. Have any other questions, comments or suggestions? Let us know in the comments below.